On the last day of May I returned home at close to midnight from a full week in New York City where I had attended Book Expo America. There was a stack of mail awaiting me, but I put it to one side assuming it contained little of interest beyond the normal credit card offers. Two days later I finally got around to looking at it. To my amazement there was a letter from a lady in Michigan who had tracked me down via the internet. 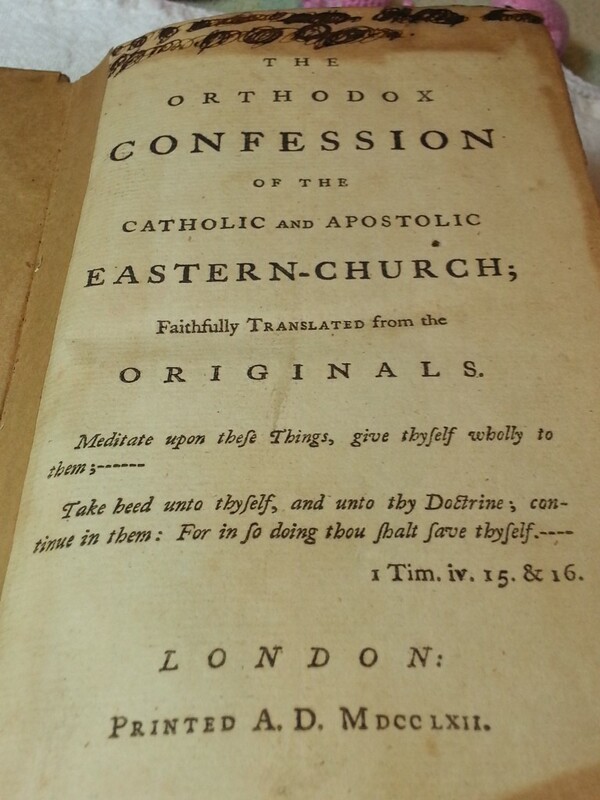 She wrote that she had in her possession Philip Ludwell III’s own copy of The Orthodox Confession of which I wrote about in detail on this site some two years ago. Later that evening I telephoned her and the following weekend I drove to Michigan to meet her and her husband. The book that they have is not in perfect condition as the original calf leather binding is held together by tape. 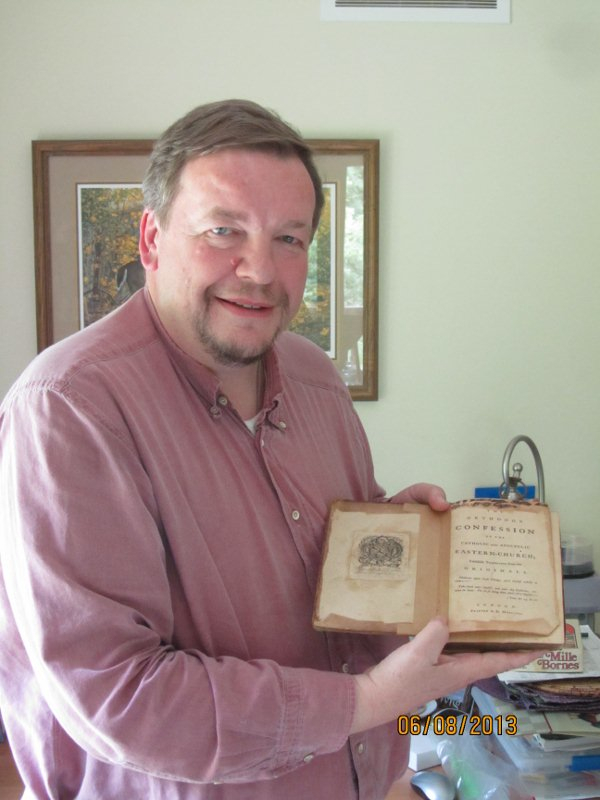 But it is clearly a copy of Ludwell’s original 1762 edition, printed in London and identical to the one I handled in the British Library and that has been scanned online by Google from the Bodleian Library in Oxford. 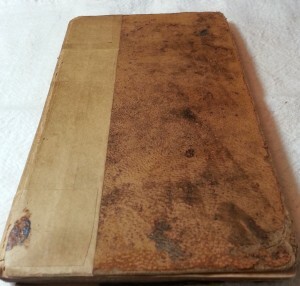 The book in Michigan however, contains two additional elements that distinguish it from these other copies: a bookplate on the inside cover and some handwriting on the top of the title page. 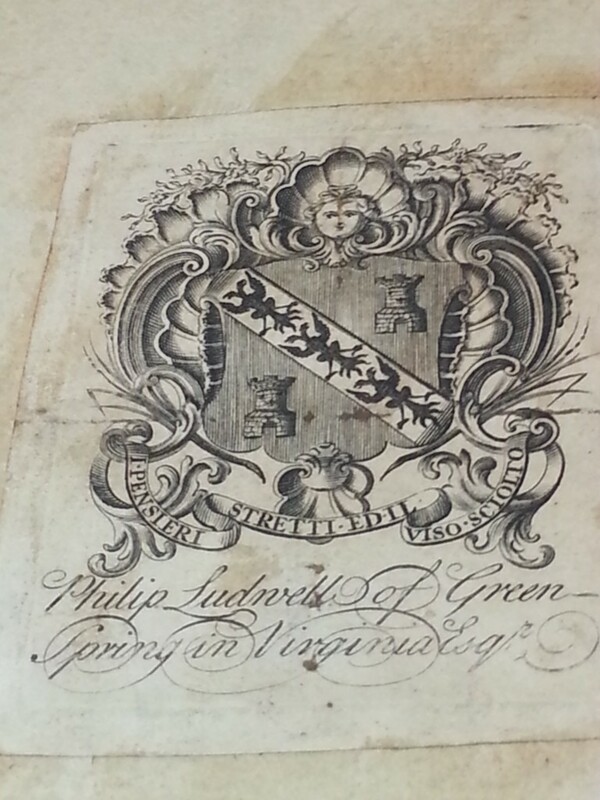 The bookplate clearly states the owner as Philip Ludwell of Green Spring in Virginia Esq. It is almost identical to the bookplate of his namesake father and grandfather save in one respect: The single headed eagles in the family crest have become double headed. Whilst the double-headed eagle is not a uniquely Byzantine, Russian or Orthodox symbol it is surely a reflection of Philip Ludwell III’s own belief that this change in the family crest was made. The handwriting on the top of the title page is more problematic as it has been substantially covered up by markings. The words Philip Ludwell of Green Spring do, however, appear to be visible. The owners of the book are seeking expert help to decipher the underlying words. It is to be hoped that once the writing is clearly deciphered it will both confirm the provenance of the book and perhaps also give some clue as to how it journeyed through time to Michigan. In the letter of the London based priest Stefan Ivanovsky to the Holy Synod of the Church of Russia seeking a blessing for Ludwell to publish the catechism he speaks of an anticipated printing of two hundred and fifty copies on fine large quarto paper, in good type and generous binding. We know that there are at least four copies extant: two in London and two in the United States. The other known US copy is said to be in Austin, Texas. Given the known existence of other Ludwell documents in Austin that were passed down through the Paradise/Barziza line it seems most likely that the copy now in Austin would originally have belonged to Philip Ludwell’s daughter Lucy. My working theory about the copy in Michigan is that it may have come into the possession of Charles Carroll of Carrollton either before or after Philip Ludwell III repose in 1767. The lady in Michigan who wrote to me is originally from Maryland and may have both Carroll’s and Lee’s within her ancestry from who the book could have been passed down. But it seems more likely to her that her mother, who frequented used bookstores and flea markets in both Maryland and tidewater Virginia, acquired the book. Her mother is still alive, but has no specific recollection of the book. When her mother moved from a house into an apartment two years ago the book, together with other items, came into her daughter’s possession. At that time it received no particular intention. Then, just after Christmas last year the daughter went to a cupboard in her house to find some photographic equipment. She noticed the book for the first time and felt that it was inviting her to inspect it. This occurred on December 28, 2012, the two hundred and ninety sixth anniversary of Ludwell’s birth. Ludwell fascinated her and searches on the internet led her to contact me. A very sincere friendship existed between us. The legacy he hath bequeathed to me, and particularly the manner in which it is expressed, is a proof of that friendship; and I have accepted of this token of my friend’s remembrance, more from this motive, than from any real want of the books I have selected from his collection for my own use. This would suggest that the book was already in Virginia at the time of Ludwell’s death. Benjamin Franklin’s letter to Ludwell of February 1763 makes it clear that Ludwell did hope to return to Virginia. Is it possible that he was able to make a short visit and to leave the book there? Or perhaps he shipped the book with over possessions to Virginia, believing he would be following? He could also have given the book to Carroll whilst the latter was still in London. The most likely alternative to the Carroll connection would be one to William Lee who married Hannah, Philip Ludwell’s oldest daughter. After Hannah’s death in 1782 Lee became the owner and occupier of the Ludwell estate of Green Spring near Williamsburg. Sadly, his son William Ludwell Lee was to have the original house demolished and a new one built. Perhaps at this time the book and other possessions of Philip Ludwell III were sold off? As with most historical research every discovery raises new questions as well as further illuminating the past. Hopefully more forensic analysis of the handwriting on the title page will reveal the exact words and clarify the book’s provenance. But I for one am thankful for its discovery and motivated anew to explore the legacy of the man who may well be America’s first Orthodox Christian. “The present version of the famous Catechism of Peter Mogila is attributed to Philip Lodvel, otherwise Lodvill, or Ludville and was originally published in 1772 [sic]. Thus having the merit of being the first authoritative work in English on the doctrines and practices of the Orthodox Church.